Trailer Review: Thugs of Hindostan – The Big B & Aamir Khan Starrer Looks Promising! No trailer can be grander than the trailer of Thugs of Hindostan where the star power is enough to confirm box office moolah. 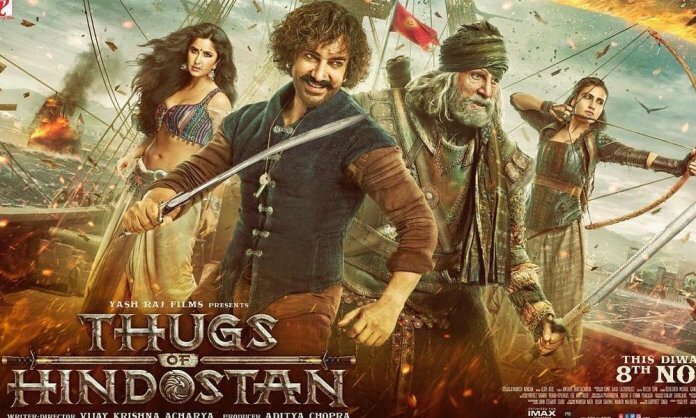 Not only is it the first film ever where Aamir Khan and Amitabh Bachchan share the screen but it reminds you a little of Pirates of The Caribbean franchise. 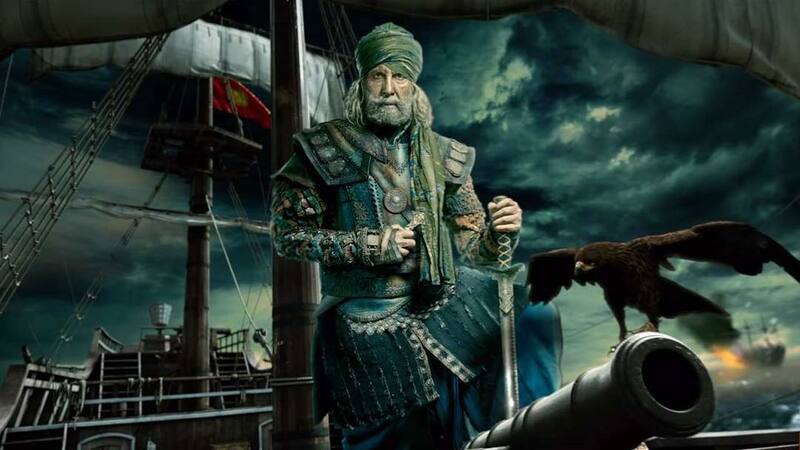 As Azaad, Amitabh Bachchan reminds you of Long John Silver from Robert Louis Stevenson’s classic novel Treasure Island. He may not wear an eye-patch or have a wooden leg, but he is the elder statesman here who fights for the right and helps the oppressed. His attitude towards the invading British forces, his ability to command respect and the explosive dialogues he delivers are the highlight of the trailer. Let’s hope he raises the bar in what is his first film with another king of Bollywood! Aamir Khan carries on from Dhoom 3 where he played a magician who robs bank; here he plays a thug who would do anything for money. Usually, the actor doesn’t do half-baked roles and although the trailer shows his character being without depth, there might be a mystery to it. From the 3-minute theatrical trailer it seems he plays an informer for the British who pay him to befriend the dangerous Azaad only to betray him later. For those who follow the actor’s work, there can be more than meets the eye to his character of Firangi Mullah which seems to have his own agenda in the plot. And then there is the dialect, the comic performance and the action scenes he is part of, reminding one of Johnny Depp’s Captain Jack Sparrow. Some say she can’t act and some term her an expressionless diva; however, everyone agrees that at the moment she is the most beautiful actress in Bollywood who can make men go weak in their knees. Katrina plays Surayya who dances into the hearts of the audience with her sensual moves and even gives a tough time to our hero who is shown to be under her spell in one of the shots. Will the Aamir Khan – Katrina Kaif magic take the film to the level of Dhoom 3 remains to be seen but whenever the two have worked together, it has resulted in fireworks and this film doesn’t look any different. She may not be a veteran when it comes to films but Fatima Sana Sheikh mesmerized the audience with her performance in Dangal where she played Aamir Khan’s daughter. Here, as archer Zafira, she shows her archery prowess and reminds you of Hollywood films where the leading lady is shown to fight her own battles and carry herself gracefully. The last time Aamir Khan worked with writer/director Vijay Krishna Acharya, they delivered one of the biggest hits in Bollywood – Dhoom 3. Replace Abhishek Bachchan from that film with his father, give Katrina Kaif a back-in-time role and add Fatima Sana Sheikh in place of the other Aamir Khan and you will get a film that will take you on a journey where adventure, deceit and righteousness are the keywords. The action sequences at the sea and the swashbuckling fights give you an indication that the film will be on a different level altogether and despite giving the feeling of Pirates of The Caribbean and Game of Thrones, it will prove to be a grand spectacle with repeat value in cinemas near you!